We design our storage systems so that your stock room, workshop or warehouse runs as efficiently as possible and that your operatives are always working at an optimum height. 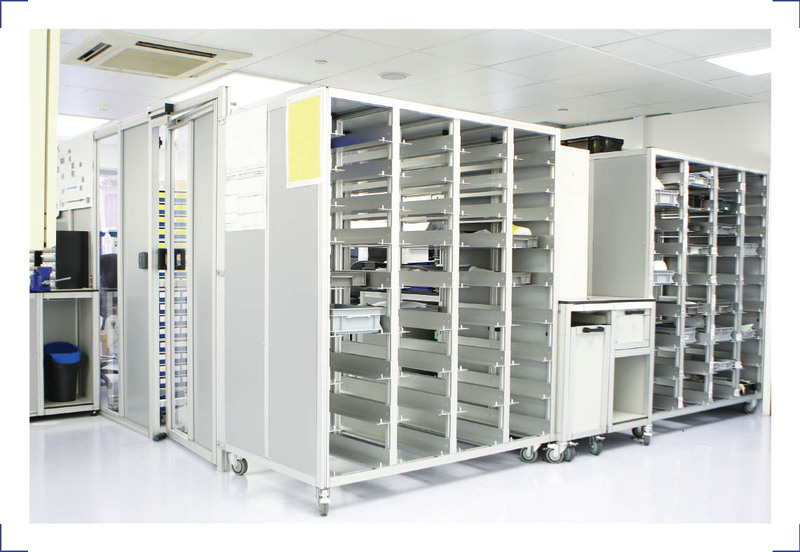 Kanban lies at the heart of our storage systems ensuring a continuous product flow thus reducing manufacturing times within a production line environment. We use a roller system so that the product is loaded in from one area and fed directly to the operator and the products yet to be worked are queued directly behind one another. When it comes to storing your goods, our packing systems are the perfect solution for quick and easy access. This can help you keep track of your goods, supplies and parts, giving easy access and improved efficiency. If static is an issue, we can offer rollers which have an electro static discharge feature and also the frame will be grounded to prevent any build-up of static on the frame. 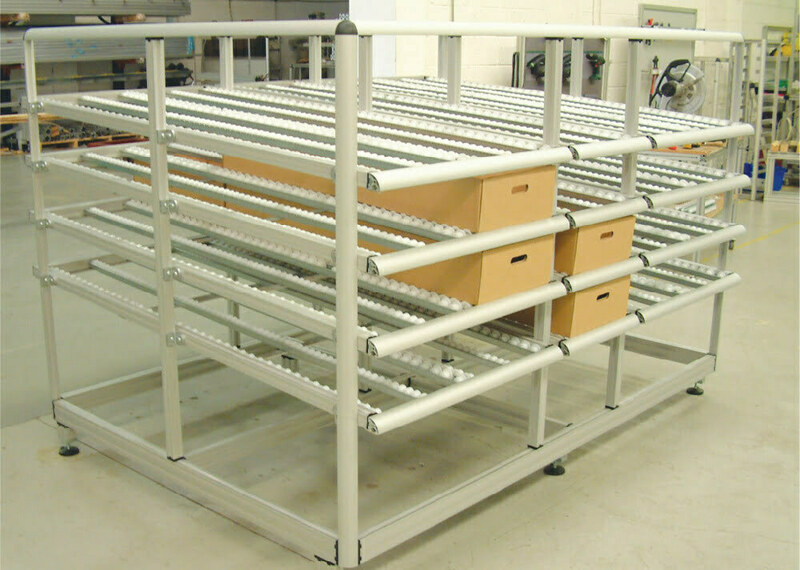 Our storage systems can be designed to fit specifically into an existing production line or used as part of a stockroom area. 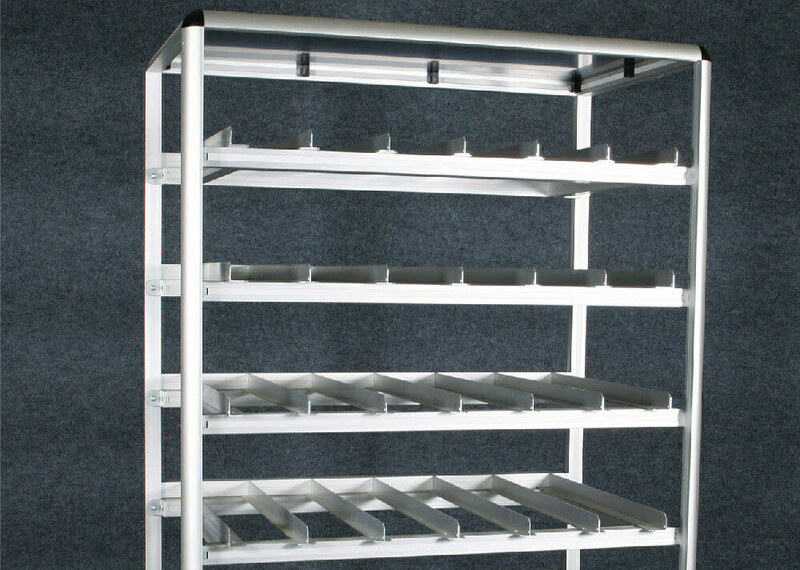 You have the option of a roller system or a simple racking system made from anodized aluminium angles. This is an ideal solution for cleanrooms or lab environments where contamination is an issue as roller system can be very difficult to clean down. Want to speak to someone about your Storage Systems?